Proud of make our wines the way we like and with our heart. Here are the white and rosé wines that we do, all of them with the D.O. Rueda seal. You can download the data sheet of every product and please contact us if you have any question. Harenna is a limited production, selected from our own vineyards located in the area of Matapozuelos, between rivers Adaja and Eresma With 730 meters altitude, most of the selected Verdejo grape vines are ungrafted with an average age of 150 years old. White Whine D.O. Rueda. By sticking with tradition, wine matures on its lees (until winter is over) while fermentation process takes place, with periodic batonage. This 100% Verdejo shows lighter yellow/green colour at sight. Very complex nose displaying intense varietal character enhanced by mineral, toast and bakery notes, with a fine harmony. Still a little young, this wine should continue to improve. Fleshy, luscious, with a very pleasant and outstanding mineral finish. This complex, full-body wine pairs perfectly with traditional dishes, grilled meat, hotpots and white meats. Grapes are grown in sandy soils and undergo chryomaceration. Straw yellow in colour, with some greenish reflections and very bright edge. Soft and sweet flavours with a quite fleshy texture pleasantly coat our mouth. 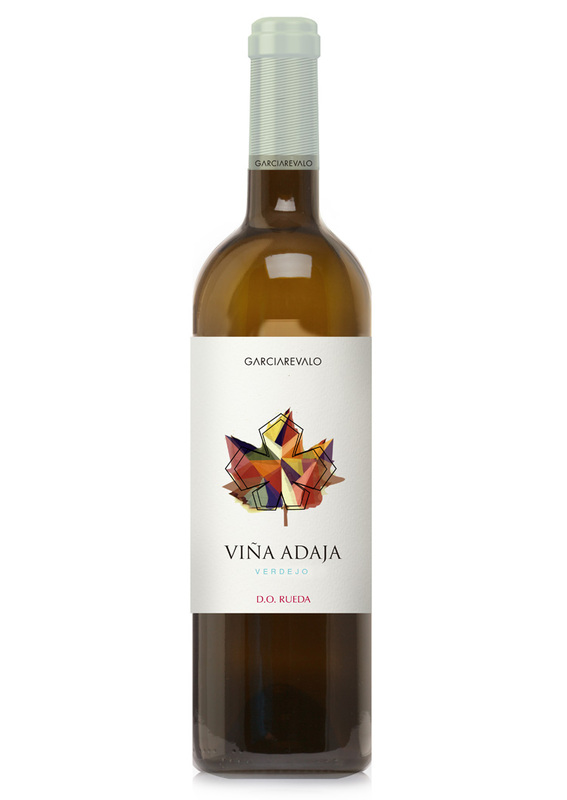 Good fresh mouthfeel, lively mid-palate, nervy intensity with a very special bitter finish with the unique strong Verdejo character. Noble wine filled with character that will wonderfully please even the most demanding palates. Try this wine with strong flavoured fish, such as tuna or salmon. Dare to try it with mild and very fine cheeses. Serving temperature: Best served at between 8 ºC and 10 ºC. Our plot Tres Olmos, is in the term of Matapozuelos, province of Valladolid, between the rivers Adaja and Eresma. The soil is sandy-limestone, with sandy silt texture. The age of the vineyard is 25 years and the planting frame is 3x3. Maceration of the grape in cold for 8 hours and a subsequent fermentation at 14°C to have a perfect conservation of the fruit and varietal aromas. Now and in the next two years. Appetizers, seafood, fish-semi-skim, white meats, rice, pasta, vegetables. Recommended temperature to serve is between 8°C and 10°C. Aromas nobles, muy limpios y definidos: pera, grosella y pétalos de rosa que dejan paso al clásico matiz anisado e hinojo fresco. Recuerdos a cítricos. En boca suave y meloso, con gran carnosidad que nos envuelve la boca gartamente y nos llena de frescura, paso de boca vivo, nervioso y con un peculiar final de boca amargoso cargado del carácter único del que es poseedora la verdejo. Persistencia muy prolongada. Vino noble y pleno de carácter que hará las delicias de los paladares más exigentes. Pruébelo con pescados de fuerte sabor como el bonito o el salmón, o atrévase a hacerlo con quesos finos no muy fuertes. Temperatura de servicio: entre 8º y 10º C.
The grapes arrived at the cellar with perfect health and perfect maturation. We get the juice from the skins with cold maceration for a few hours. The fermentation lasts 12 days and with a temperature of 15°C. It has a very intense pink color with a blue brightness, it is clean and bright. The nose has intense aromas of fresh fruit, candy strawberry, raspberries, hints of banana and citrus. It’s a very complex wine! Confirmed in mouth, we find fresh fruit perceived in the nose, it has a fresh, silky and well-balanced palate. The wine is very nice and persistent.